Insurance has always been one of the most controversial subjects in the auto world. Of course, we appreciate the fact that it’s compulsory in all the 50 states. Because otherwise, imagine paying your medical bills, and probably even compensating other victims after an accident. On the flipside, it seems like players in the insurance industry are having a ball, now that it’s impossible to avoid car insurance. 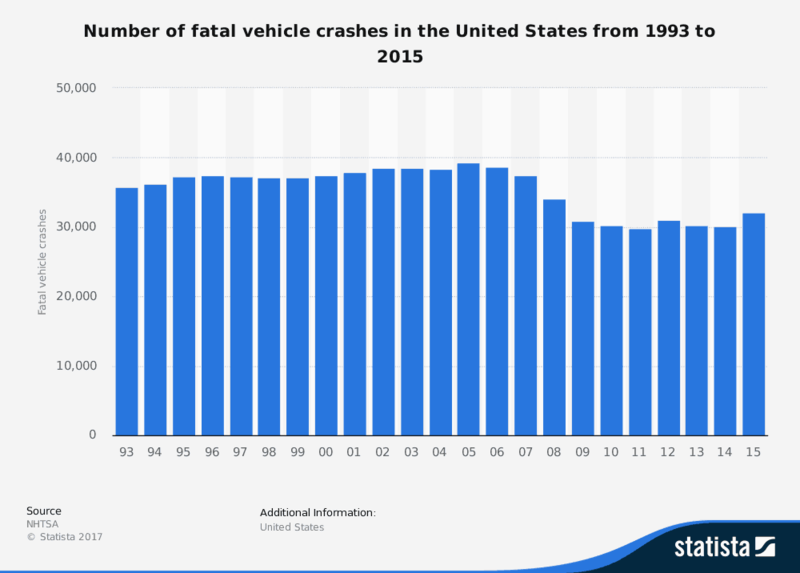 Even with over 4.5 million vehicle accidents resulting in property damage, 1.7 million injuries, and 32,000 annual fatalities, insurance companies are still raking in huge profits. Between the year 2011 and 2015, companies in the auto-insurance space lost more than $145 billion, mostly due to insurance fraud. But, it barely made an impact in the industry. Insurance firms are still pouring billions of dollars every year in television ads and digital media. Everyone is loving the status quo- except you, the consumer. If you’ve had that feeling in the pit of your stomach that auto insurance companies are probably taking advantage of you, you’re right. You’re only slightly wrong on the part about auto insurance companies. Because it’s not just them. It spreads across the board. Everyone is ripping you off- from insurance companies, to vehicle repair shops, property agents, and even medical providers. While some blatantly defraud you, most of them are ripping you off legally. They capitalize on some interesting loopholes in the current legislation. Take Michigan Auto Insurance Policy laws, for instance. Vehicle owners in this state pay the highest premiums in the country, so medical providers can pretty much charge exorbitantly for their services. Whichever way you look at it, that has been how the bulk of their claims have been ending up. Because of such cases, a third of millennials and 28% of vehicle owners in the U.S. believe that they are paying way too much for their auto insurance. The insurance companies are particularly fond of leaching off high-income earners since they are not frequent complainers. Only 24% of vehicle owners earning more than $75,000 per year are not happy with their rates. Compare that to 37% of modest income drivers with income ranging between $50,000 and $75,000 per annum. There are many interesting facts behind the smoke and mirrors. That’s why we’ve prepared the following guide, to help you finesse your way out of possible rip offs. Unless you’re rocking an exceptional classic car, the value of your vehicle is consistently losing value with time, and every mile driven. But some insurance companies don’t see it that way. You still continue paying the same premiums, even after your car has lost half its value. Insurance agents who support this concept argue that aging and increased mileage translates to more frequent repairs, and increase the risk of accident due to mechanical failure. 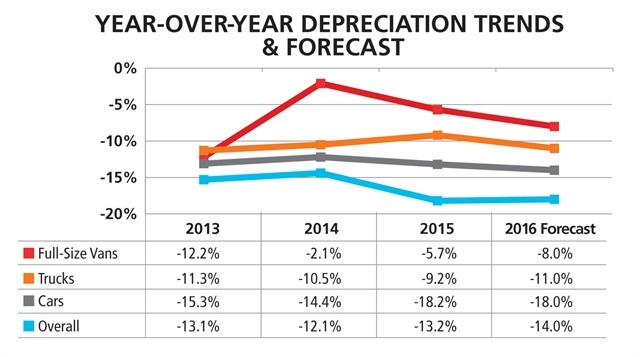 Well, of course, that’s laughable because, in actual sense, repair costs decrease with increase in a car’s age. Parts become readily available and mechanics continue to familiarize themselves with engine intricacies. The best and most efficient way to beat this system is switching to ask your insurance agent to revisit your policy. Don’t waste your time, allow an independent agent to shop for your insurance. Your independent agent will have multiple insurance companies assess your vehicle and charge you cheaper premiums according to its age. sticking to one insurance provider could have you losing way too much in 12 months, let alone 5 or 10 years. 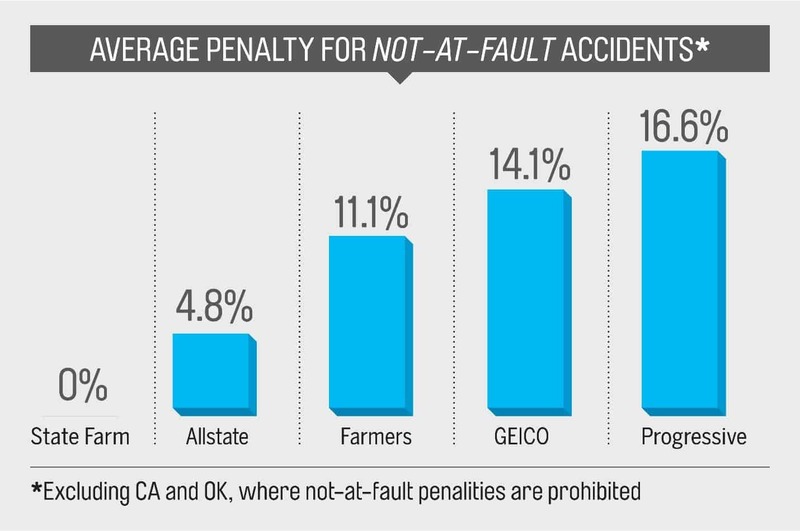 If you assumed insurance providers hate car accidents, think again. Of course, they lose money by paying out claims. But they immediately start recovering their losses by increasing your rates. And sometimes they even make more off you after an accident. It’s a continuous, unending cycle. Insurance firms make a lot of money off your premium payments. Then you’d be mistaken to assume that you’ve won the battle, when you receive compensation from cumulative payments. But when that is over, they increase rates as soon as you get behind the wheel again. All things considered, this may be fair, since it covers an insurance company’s risk of insuring accident-prone drivers. But, in some cases, rates do not climb over time. They shoot through the roof, punishing you for the accident. It may apply even to incidents which may not even have been your fault in the first place. This game is especially common among insurance providers who offer very cheap rates at the beginning. And you since you’ll assume that they are still the cheapest around, you’ll stick with them despite the high rates. The only way around this is comparing rates offered by different insurance providers. Some companies may be lenient enough to provide coverage at way cheaper rates. While this may seem like a pretty obvious thing to do, 38% of vehicle owners have not bothered to compare their auto insurance premiums within the last 3 or more years. That’s according to NerdWallet, a personal finance website that sampled motorists across the country. Even more surprising is the fact that 17% of these drivers have never checked at all. As a result, they are missing out on an average of $417 of savings per year. This is silly considering an insurance agent could do the legwork for effortless savings. If there’s one outrageously ridiculous thing about insurance pricing evaluation, it’s the fact that it’s partly based on credit score. This is one area that you may end up mistaking an insurance company for a bank. They act like insurance claims are loans and financial grants. Even a good and careful driver may end up paying high rates for a poor credit score. It’s even more amusing when you discover that poor, careless drivers with good credit scores pay lower insurances rates. And no, this doesn’t just bump the rate up by a few bucks. Going by figures published by Consumer Reports, penalties for poor credit scores are staggering. Crunching the numbers across the top five national insurers, they established that motorists with excellent credit scores were paying an average of $1409 annually, while good credit score drivers were shelling out $1712. Individuals with the poorest credit scores were paying an astonishing $3826 every year. Unfortunately, apart from improving your credit score, there’s no other way of finessing your way out of this. It’s almost like the United States is hell-bent on basing everything on credit score. Soon they may even start issuing driving licenses according to creditworthiness. The subject of pre-existing conditions and injuries is not limited to auto insurance policies. All insurance providers, across all industries, always have a clause on pre-existing conditions. No company wants to be held liable for past injuries. In layman terms, they don’t see themselves making a profit. And that’s understandable. Because whichever way you look at it, insurance is still a business. But, there is a rather interesting grey area in this. Imagine an accident that aggravates a past injury or condition. Consider a person paralyzed from the waist down for instance. A car accident may snap his spine further, causing paralysis from the chest down. Now, of course, most auto insurance firms would counter the resultant claim, citing the clause on past injuries. If he’s not keen in following up, the victim may end up with zero compensation. Fortunately, insurance legislation addresses this, through the “Glass Plaintiff” rule. The frailty of a victim is not a defense in a claim case. That means you are entitled to full compensation if a vehicle accident aggravates a pre-existing injury.For fair compensation in future, have your doctor comprehensively document current injuries that your insurance company is aware of. In case of an accident, your insurance provider will have a hard time rejecting a claim on grounds that pre-existing injuries were not affected. If you’ve rented a car before, chances are salespeople pressured you to cough up extra cash for insurance. At first, it may seem like they are trying to protect their vehicles, or they care about your safety. Sadly, it can never be further from the truth. Rental car salespeople get commissions from insurance companies for every cover sold. That’s why they’ll never reveal that you won’t actually benefit much from most their insurance covers. As a matter of fact, most salespeople continue pressing, and persistently offer alternative insurance plans if you reject their propositions. In the end, you’re forced to cave in and say yes because extra cover would hurt, now would it? Reviewing and researching on such insurance covers would ultimately reveal that you probably didn’t even need them. You would have bought useless insurance, at rates higher than standard market premiums. If you own a car with its own insurance plan, don’t even entertain the thought of insurance for rented vehicles. You’re already adequately covered. Liability Insurance at $5 to $15 a day. It should cover damages to third party vehicles and people caused by the rental car. Loss Damage Waiver (LDW) at $10 to $20 a day. It should cover the damages you might cause to the rented car. Of course, these are very much essential to rented cars. We are not suggesting that you proceed to get a rental without both. However, your car insurance plan extends to cover these two. They come with most auto insurance plans and adequately apply to rentals. So, to avoid paying for unnecessary coverage, check with your current policy and confirm its boundaries and exceptions before approaching a rental car company. That way, you’ll be able to discern factual information from sales jargon by the attendants. 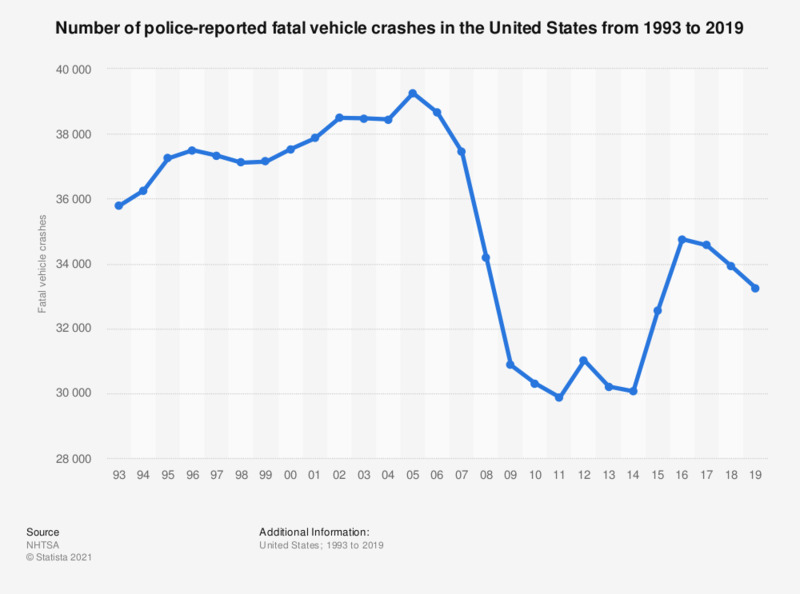 Even with over 4.5 million vehicle accidents resulting in property damage, 1.7 million injuries, and 32,000 annual fatalities, insurance companies are still raking in huge profits. Between the year 2011 and 2015, companies in the auto-insurance space lost more than $145 billion, due to insurance fraud. Everyone is ripping you off- from insurance companies to vehicle repair shops, property agents, and even medical providers. A third of millennials and 28% of vehicle owners in the U.S. believe that they are paying way too much for their auto insurance. Only 24% of vehicle owners earning more than $75,000 per year are not happy with their rates. 37% of modest income drivers making between $50,000 and $75,000 per annum complain about their insurance rates. Get quotes every 6 months to a year from multiple insurance companies. Contact our independent insurance agents if you don’t have time to do it yourself. Insurance companies start recovering their losses by increasing your rates immediately after compensation. And sometimes they even make more off you after an accident. Shop for a new policy or have an agent do this for you to minimize the increase in your premium. 38% of vehicle owners have not bothered to compare or have an agent compare their auto insurance premiums within the last 3 or more years. As a result, they are missing out on an average of $417 of savings per year. Even a good and careful driver may end up paying high rates for a poor credit score. If you have bad credit, you are paying 2.7 times more than a driver with excellent credit. Through the “Glass Plaintiff” rule, the frailty of a victim is not a defense in a claim case. That means you are entitled to full compensation if a vehicle accident aggravates a pre-existing injury. If you own or lease a car, your insurance covers your rental. Although we’ve covered the major rip-offs, the auto insurance industry is extensive. And so are the laws regulating it. Different stakeholders continue developing new tactics to capitalize on the loopholes. So please feel free to share the ones we’ve not mentioned.